Celebrating nearly two decades of dedicated service to the Washington, DC design community, Hines & Company is distinguished as a premier independent showroom representing the finest in American and European manufacturers of luxurious home furnishings and textiles. 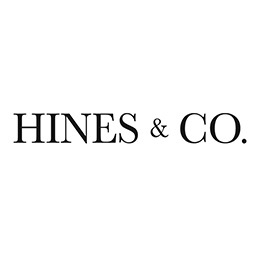 Established in 1996, Hines & Company is renowned for its exceptional customer service and vast breadth of unique materials and furnishings. Our commitment to offer the very best is paramount – from our meticulously curated collection of beautiful textiles, extraordinary trims, unique lighting, custom shades, one-of-a-kind and custom wallcoverings to our expertly crafted, American bench-made furniture Hines offers one stop shopping.